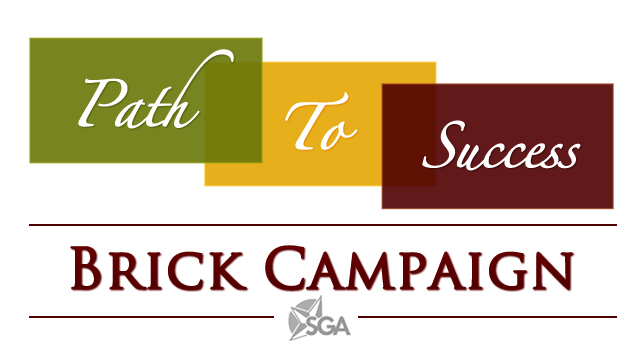 The Brick Campaign is an initiative created to provide sustainable funding for the Student Government Association and its programs. The campaign gives students former students, families, departments, organizations, and friends of Texas A&M University the opportunity to purchase a brick with a customized inscription. The bricks, ranging in size from 4×8 to 8×8, make excellent gifts for graduation, birthdays, holidays, or even as a way to commemorate achievements and legacies. For more information about the Path to Success, please visit http://brick.tamu.edu/ or email TAMUpathtosuccess@gmail.com.